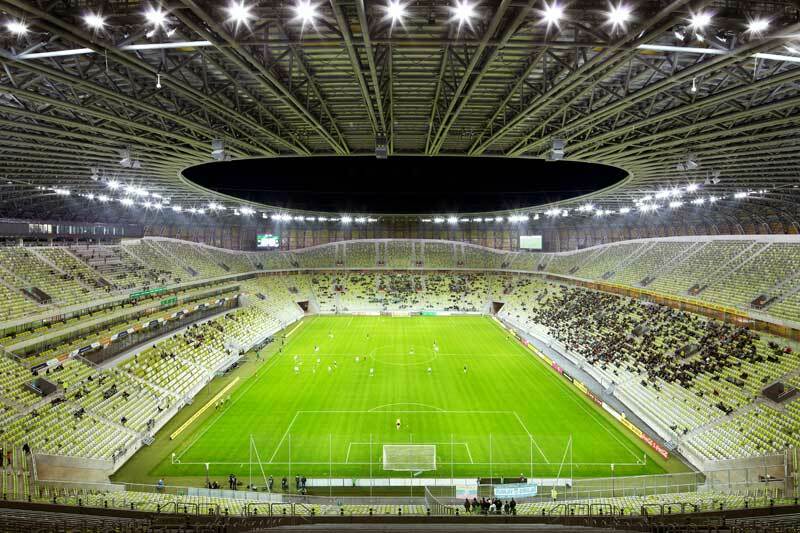 This multi-purpose arena is a venue for the 2012 European Football Championship. 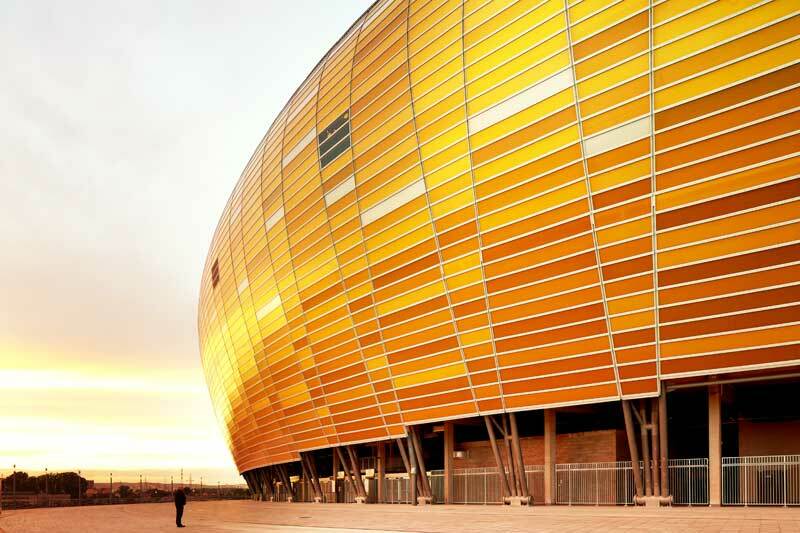 The shape and colour of the stadium are based on two motifs which are typical of the region: shipbuilding and amber. 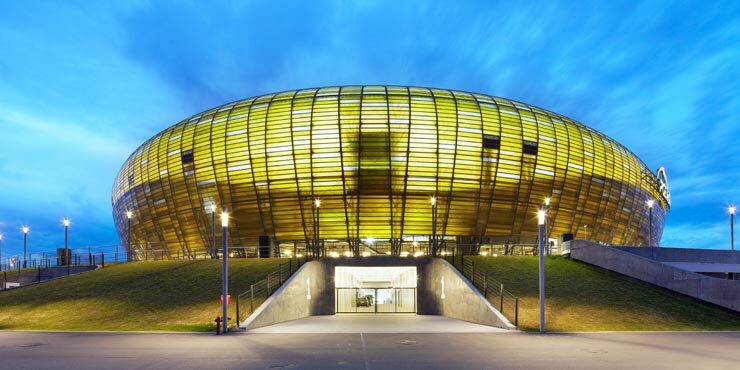 The slender load-bearing structure of the arena is reminiscent of a ship’s hull, whilst the polycarbonate envelope lends the façade its transparency, lightness and ambercoloured brightness. In the sanitary facilities, the low-maintenance GROHE Rapid SL installation systems ensure that the WCs and urinals have a reliable supply of water, even at peak times.